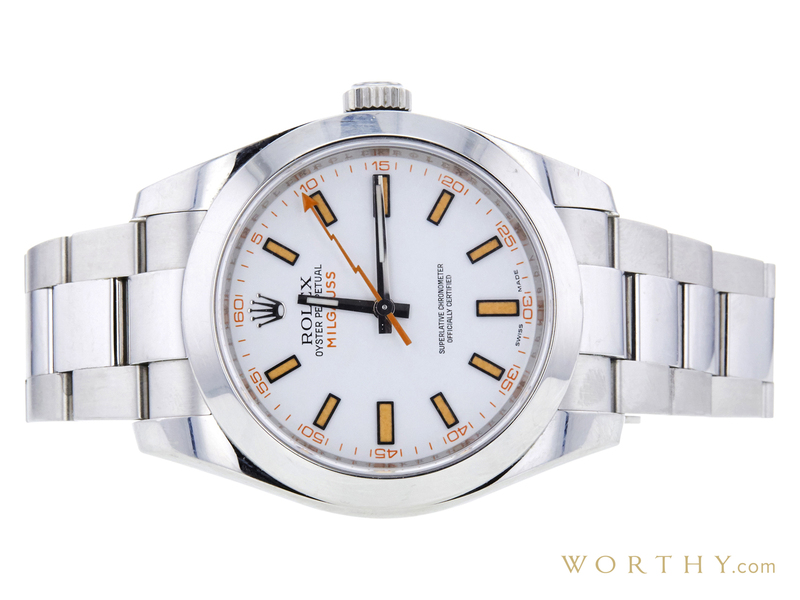 This Rolex milgauss Ref. No. : v081499 was auctioned at Worthy. The man's watch is 40 mm in diameter with stainless steel case, stainless steel band. It features complication and automatic movement. It came to us with papers and the original box. It is in mint condition and attracted 302 buyers.